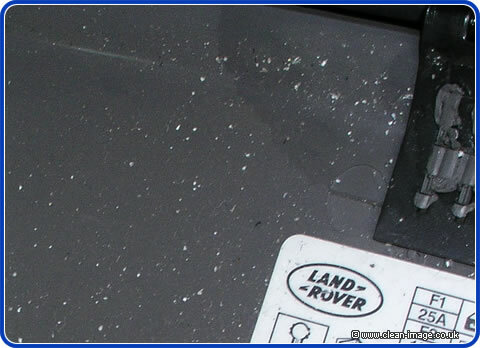 We carried out our odour kill service on a Range Rover, and as usual gave the customer a call a week later to see if everything was okay - we always make a follow-up call with our odour kill services because it doesn't always work the first time... this was one of those cases! The customer's wife complained that there was still a faint smell of cigarette smoke (women have a better sense of smell than men) and so we asked to have the car back for another go. We have a record of odour removal which is close to 100%, but we can't guarantee that we can get the problem solved first time because to remove odors, you need to remove the source of the smell, and this can be hard to 'sniff out', especially if the whole car stinks! But in cases of cigarette smoke smells, experience has taught us exactly where to look. 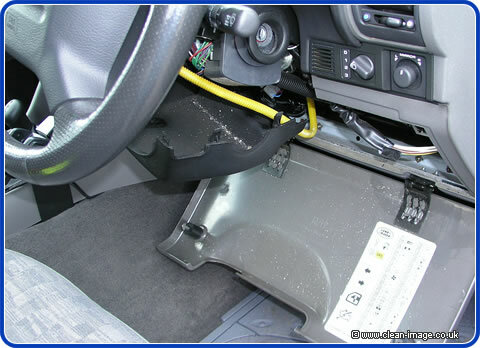 Many people who smoke hold their cigarette or cigar in the same hand as they use to steer with, and this leads to ash falling down onto the steering column - until every trace of ash is removed, the stale tabacco smell will remain. 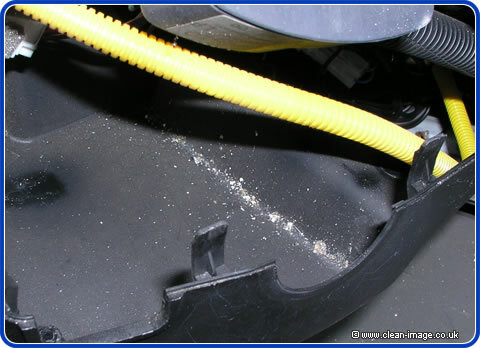 Although our ozone and fogging machines can get into these areas, removal of the offending material is preferable. So we removed the plastic housing around the steering column and cleaned it all with special chemicals designed to tackle tar and ash. This is by far the best method to get rid of the tabacco smell. When you purchase our odour kill service, we will do our level best to remove the odour first time, track down the source of the smell and remove it, we may even supply you with some products to take away with you that you can re-apply, this is especially the case if you have traveled some distance to see us. 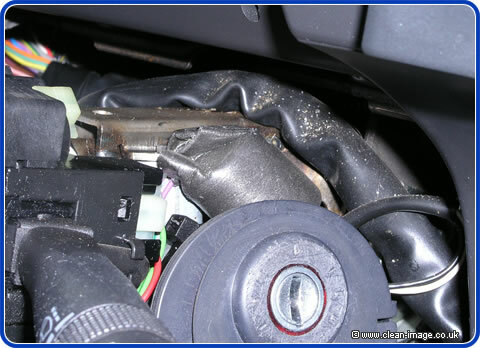 If the smell returns we will take the car back and try again at no extra charge - we only make an additional charge for labour if we have to dismantle parts of the car such as removing seats, carpets or panels. Read more about our Odour Kill and Smell Removal Services.